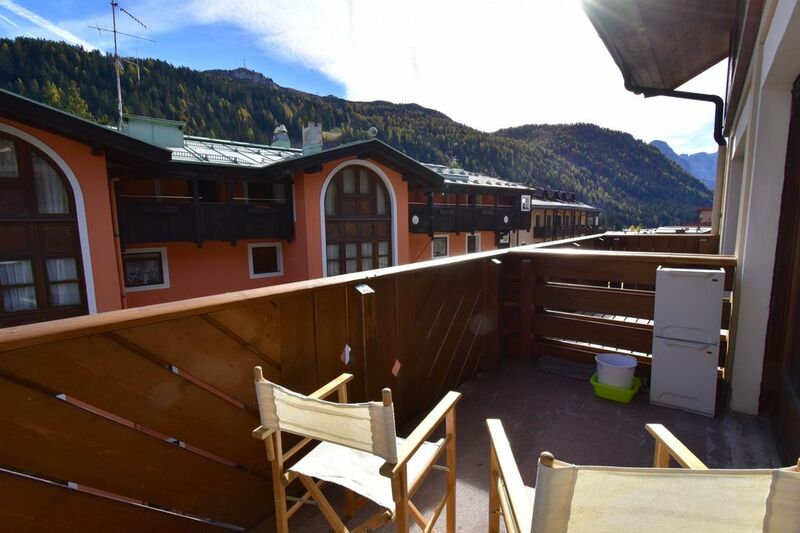 The apartment in Madonna di Campiglio has 1 bedrooms and has capacity for 5 people. This cozy fully-equipped apartment is 45 m² and is located at the foot of the skiing-slopes. It has views of the mountain and the slopes. The property is situated in a family-friendly neighborhood in the center of the city. The house is located 100 m from Famiglia Cooperativa supermarket, 100 m from Ballardini Specialità supermarket, 100 m from Cantina del Suisse stylish bar, 150 m from Pizzeria Le Roi restaurant, 150 m from 5 LAGHI CABINOVIA skiing resort, 200 m from 3-Tre pista coppa del mondo skiing resort, 250 m from Laghetto di Campiglio and 3 km from GOLF CLUB CAMPIGLIO golf course. The accommodation is equipped with the following items: balcony, central heating, covered parking in the same building, TV. In the induction open plan kitchen, refrigerator, freezer, washing machine, dishwasher, dishes/cutlery, kitchen utensils and coffee machine are provided.